Following an outstanding West End Run, this unforgettable theatrical tour de force comes to Buxton. 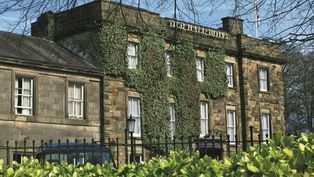 Enjoy a 2-course meal, theatre tickets and overnight stay at the Old Hall Hotel. For more information about the theatre package click here. This link will take you away from the Buxton Opera House website. Please reserve your dining when you buy your theatre tickets. We don't take any payment for your meal, the Pavilion Gardens team will contact you to confirm your reservation. To download a sample menu please click here.